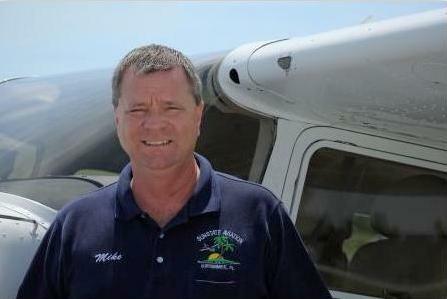 My name is Mike and I am very much looking forward to talking with you about your specific flight training needs! I will respond to your query in a timely manor via email, usually within 24 hours or less. If you do not receive an email reply within 48 hours, please check your Spam/Junk email folder as your email client may have routed my response email there. If you do not see your area of interest listed in the drop-down list below, please type it in the Remarks field. I am looking forward to serving you and assisting you in reaching all of your aviation related goals. Please note: Email is our preferred method of communicating with our future pilots-in-training. There are many reasons for this, not the least of which is having the ability to answer your questions in writing so that you may refer back to that email later. If for some reason you need to call me on the phone, my direct line is 407-624-4687. All other telephone inquires should be directed to our main office number which is 407-944-3592. It was a great experience flying with SunState Aviation, very professional staff and great airplanes. I want to thank you all for the training and being so helpful. I’ve been referring my friends to SunState Aviation and I’ll be happy to do some comments on Google review.